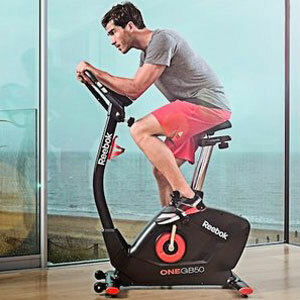 Is The Reebok One GB50 Exercise Bike As Enjoyable, Comfortable And Efficient As Promised? The Reebok One GB50 Exercise Bike is a good looking, modern exercise bike that is sure to look at home in many living rooms and home gyms. There is the expectation of a mid-range model based on price and looks, but there are eye-catching elements to the specification that suggest a good workout. This includes the electronic resistance system with 32 levels of tension control, multiple programmes and a good LCD console for data. The makers talk about “an enjoyable, comfortable and efficient workout”, but is this the case? What benefits have buyers appreciated when testing out this Reebok One GB50 at home? The specification of this indoor exercise bike suggest that there are plenty of opportunities for a good workout. There is a wide range of user programs that focus on time, distance, calories burned and other details. The Reebok exercise bike also provides a wide range of resistance levels to ramp up the pressure as needed. There are new users that can put themselves to the test and progress nicely with a workout regime, without feeling overwhelmed by all of the options and buttons. This sense of ease of use is enhanced by the fact that this a model that is accessible enough for daily use. Many users had little problem getting set up for each session and enjoying their experience. This is all aided by the adjustable elements to accommodate different users and the high maximum user weight allowance of 120kg. These features include the adjustable handlebar and the self levelling pedals with pedal straps. There are also those that praise the bike machine for the lack of noise and smooth motion, with some easily placing this in front of the TV. This smooth motion is largely due to the use of the 9kg flywheel. Are there any problems with this Reebok GB50 One Series Stationary Bike that buyers need to be aware of? The problems mentioned by reviewers of this system are pretty much as many would expect. The first is the comfort of the seat, although this was quickly fixed with the addition of a gel cover. Others warn that users should be prepared to take some time setting this up, as there is a heavy box and heavy parts. Finally, there are those that say that the pulse monitor not very helpful, responsive or accurate for some, but this was expected because of the lower price of the machine. 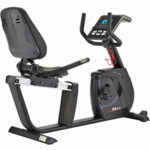 Summary: does this all mean that this Reebok One GB50 Exercise Bike is still recommendable for home use? As you can see, there are potential problem with this product, but they are nothing that many exercise bike owners won’t have seen before. The issue with the seat is overshadowed by the comfort and adaptability of the other elements, which makes it accessible to many people. The issue with the pulse reading doesn’t detract from functionality of the machine, the range of programming and the console. Finally, any inconvenience in the assembly is worth it for the final result. 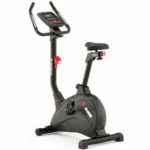 The Reebok exercise bike is multi-functional, easy to use, accommodating, attractive and, most importantly, recommendable. 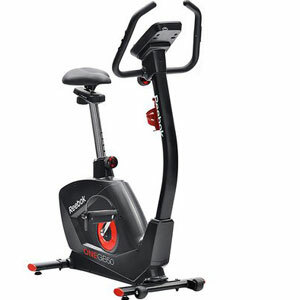 Find more reviews about the Reebok One GB50 Exercise Bike on Amazon here.